Travel to Santa Margherita on the Peninsula of Portofino, wander down the waterfront, past the small fishing villages and enjoy unforgettable views. Descend down to the pretty harbor of Portofino, famed as the place of La Dolce Vita lifestyle, and join the glamorous for coffee on the harbor side. 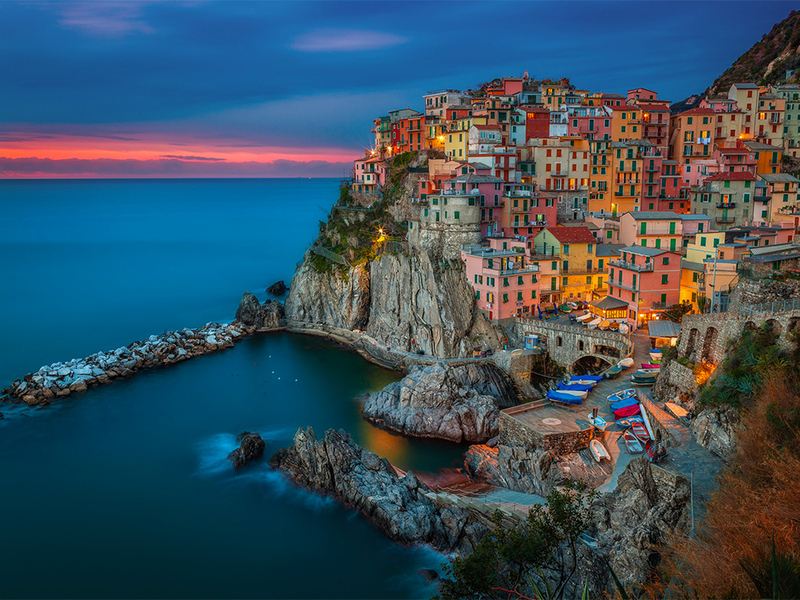 Venture out on the footpaths of Cinque Terre (Five Lands), an area famed for its coastline and pastel villages (Monterosso, Vernazza, Corniglia, Manarola and Riomaggiore). The footpaths that run between the villages will take you through olive groves, vineyards and on to idyllic vistas. The cuisine of Liguria tastefully reveals the character of the land and the ingenuity of its people. With simple cooking methods and an abundance of vegetables, herbs and olive oil – plus a dash of unique creativity - the Genoese have skillfully invented dishes that are authentic, flavorful and extraordinarily enticing. 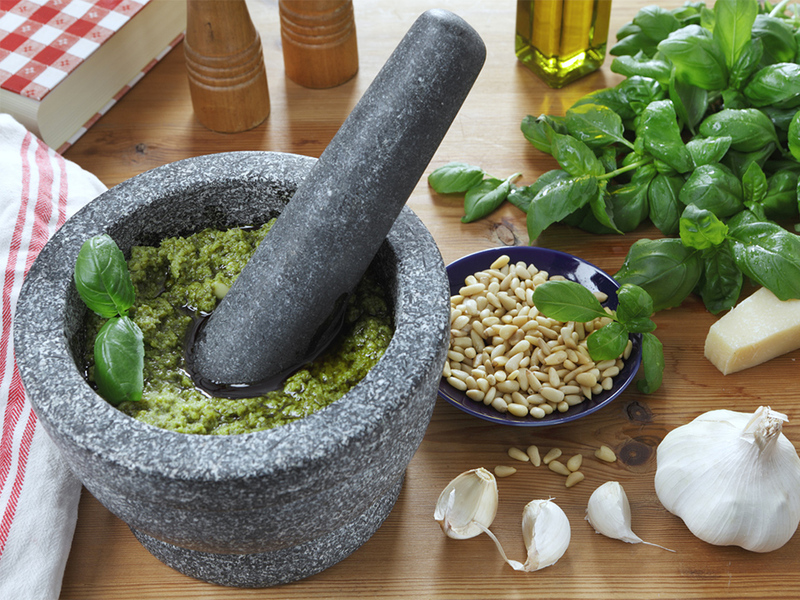 Liguria's most famous specialties are pesto and focaccia, which is served both plain - flavored only with olive oil - and in an array of tasty variations (topped with onions, olives, sage, cheese, etc.). While the region’s culinary tradition might lean towards the basic and understated, many chefs cooking in Liguria put their own innovative, creative spin on the classic cuisine, including Andrea Sarri; at his Michelin-starred restaurant in Imperia diners can experience superb seafood dishes served either overlooking the sea or, for those who can’t resist the feeling of sand between their toes, right on the beach itself. p>The town of S.Margherita Ligure has a tennis facility with four courts and Rapallo has an 18-hole golf course and tennis courts for sports lovers. Numerous dirt roads and old mule tracks are available for mountain bikers, which pass through natural landscapes with beautiful scenery, and lead to the discovery of historical places or medieval villages for an unforgettable holiday. 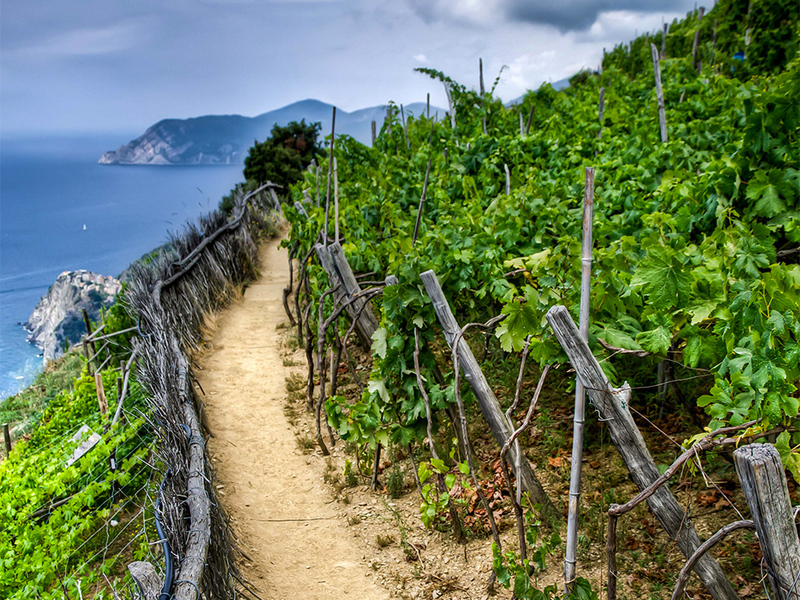 The mild climate allows hiking and trekking in the Park of Portofino all year round. From April to May, the vegetation of typical Mediterranean scrub is in full bloom, the tracks are easy with no exposed points and clearly marked signs that can be followed with the use of a map and a good sense of direction. The marine protected area of Portofino is a must for diving enthusiasts, which includes the towns of Camogli, Portofino and Santa Margherita Ligure, home to a wide variety of flora and fauna: Corallium rubrum, sea fans, sponges, madrepora coral and bryozoans. One after another, generous beaches, minuscule yet gorgeous ports and amazing sceneries for exploring greet visitors, and turn into vivacious centers by night, with plenty of entertainment and shopping on offer. Some of these include: Sanremo, the city of flowers, famous for the Italian Music Festival and for its Casino; the refined towns of Bordighera and Alassio, with its 3 kilometers of fine sand, along with Laigueglia and Varigotti, some of the gems embedded in the Riviera di Ponente. Then comes Portovenere - facing Palmaria Island - then Lerici with its grand Medieval castle, elegant villas and lush gardens. Genoa is the capital city of Liguria and has a very interesting aquarium. The area is attractive also for its proximity to famous places in France like Monaco, Monte Carlo and Cannes. The region is full of shops and outlets which offer to its visitors any type of product. 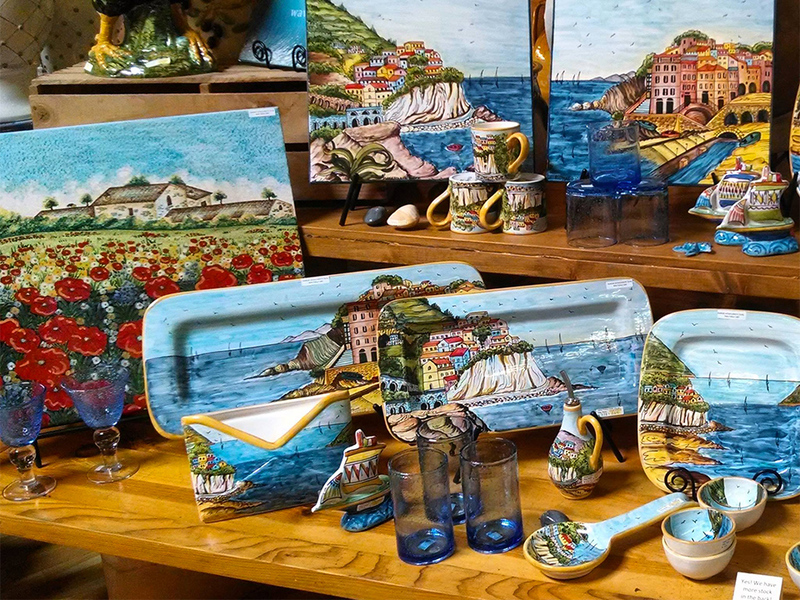 Liguria is one of the ultimate homeland of several types of crafts. Just to mention a few of them: the Albissola's ceramics, the varied ships models created by former fishermen in their small shops, different kinds of watermark and wood handicrafts. Handicrafts here encourage the spread of antique markets all over the region, that represent an interesting and picturesque concentration of trinkets and ancient objects of any kind and for all tastes. The region can be visited all year around, but February and November might be wet and are best to be avoided. There is a clearly defined high season from May to September for a great beach experience, but do not disregard winter time, when the air is clear and the views are at their best: it is a joy to walk along the Cinque Terre in peace and gaze out across the sea to Corsica. Spring and autumn are best for sightseeing and any kind of sporting activity that doesn’t involve cooling off in the sea.